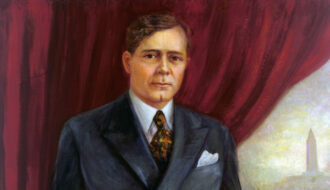 In 1936 Richard Leche won the battle to succeed Huey P. Long as governor of Louisiana and leader of the Long faction. Shortly after his inauguration, Leche made a comment that is often seen as emblematic of his term, “When I took the oath of office, I didn’t take any vow of poverty.” Leche’s personal and professional excesses while in office eventually led to charges of corruption and mail fraud, for which he was sentenced to ten years in an Atlanta federal prison. President Harry Truman later pardoned him, however, and some saw his harsh sentence as the result of political partisanship. Richard Webster Leche was born in New Orleans on May 17, 1898, to Eustace Webster Leche and Stella Eloise Richard Leche. He attended Warren Easton High School and then Tulane University until 1918, when he volunteered for military service in World War I. Initially assigned to officers’ training camp at Plattsburg, New York, a bout with influenza led to his transfer to Camp Sheridan in Illinois and then to a military program at Yale University. The war ended before he was assigned to active duty and he returned to New Orleans where he received his law degree from Loyola University. In 1927 he married Elton Reynolds, with whom he had two children. After his admission to the Louisiana bar in 1922, Leche became politically active in the Democratic Party. 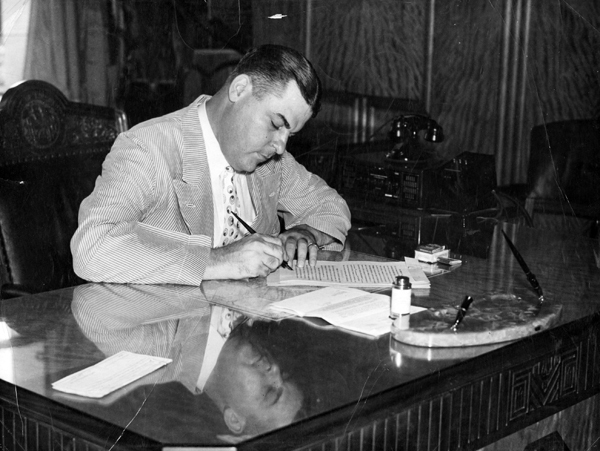 He managed Huey Long‘s campaign for the U.S. Senate and served as a legal advisor to Gov. Oscar “O.K.” Allen from 1933 to 1934. Campaigning as Long’s natural successor, Leche won the Democratic primary by a margin of three votes to one and took office on May 12, 1936. He inherited sweeping executive powers granted by the legislature immediately following Long’s assassination. As governor, Leche retreated from some Long positions, particularly the Share-the-Wealth program. In contrast, Leche offered new Louisiana businesses a ten-year property tax exemption. He also supported a one percent sales tax to fund welfare programs, a tax Long had consistently opposed. Leche did, however, continue the highway, bridge, and hospital construction plans that Long had started, though—unlike the Kingfish—he encouraged federal spending on state infrastructure. 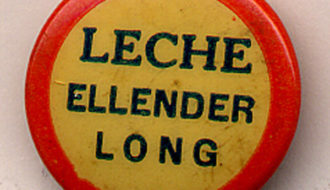 Leche’s excesses, however, quickly drew attention from critics inside and outside the state. 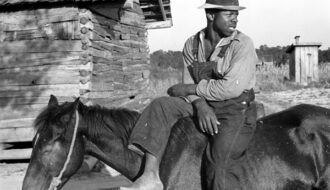 On his annual salary of $7,500, he purchased a yacht, country estate, and private hunting preserve. He created another scandal when he built an ornate, air-conditioned cage for the LSU mascot, a tiger, during the depths of the Great Depression. Federal authorities dispatched O. John Rogge, a federal prosecutor, to investigate rumors of Leche’s questionable spending. Before Rogge’s investigation concluded, Leche resigned in June 1939, citing poor health. In 1940 federal prosecutors convicted Leche of mail fraud for taking $31,000 in kickbacks on the purchase of 233 state trucks. He was sentenced to ten years in the Atlanta federal prison and disbarred. Paroled in 1945, Leche was eventually pardoned by President Harry Truman in 1953. 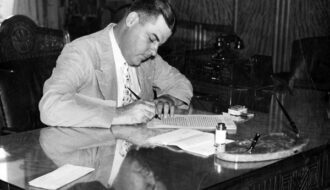 Leche’s resignation and conviction were part of what have come to be called The Louisiana Scandals, a series of corruption investigations involving Huey Long’s former colleagues. Leche went on to operate a nursery in Lacombe for eight years. Following his pardon, he was readmitted to the Louisiana bar and returned to his legal practice in New Orleans. In the 1960s he began working as a lobbyist for construction firms. He died on February 22, 1965, after a long illness and is interred in Metairie Cemetery, in New Orleans. Adapted from Carl A. Brasseaux’s entry for the Dictionary of Louisiana Biography, a publication of the Louisiana Historical Association in cooperation with the Center for Louisiana Studies at the University of Louisiana, Lafayette. Sources: T. Harry Williams, Huey Long (1969); The Historical Encyclopedia of Louisiana, 2 vols. (n.d.); Harnett T. Kane, Louisiana Hayride … (1941); David Zinman, “Louisiana Scandals Cut Short Career of Gov. Richard Leche,” Lake Charles American Press, May 3, 1964; Who Was Who in America with World Notables, vol. 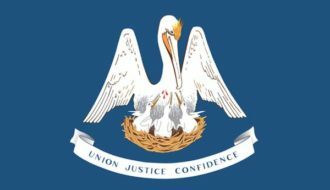 IV, 1961-1968 (1968); “Former Louisiana Gov. Leche Dies,” Lafayette Advertiser, February 22, 1965. Carl Brasseaux "Richard W. Leche." In https://64parishes.org Encyclopedia of Louisiana, edited by David Johnson. Louisiana Endowment for the Humanities, 2010–. Article published September 8, 2011. https://64parishes.org/entry/richard-w-leche.